BEAVER CREEK — Thompson Square didn't just burst onto the country music scene in 2010, they busted through the door and broke the hinges off. Since then, this multi-platinum selling duo has scored three No. 1 hits, five Top 20 hits, seven mainstream industry awards and over 25 award nominations. As international country music stars, Thompson Square has toured around the world and served as the opening act for big names such as Lady Antebellum, Jason Aldean and Darius Rucker. For their new tour, fans have the chance to see the country duo perform a concert unlike any show they've done before. 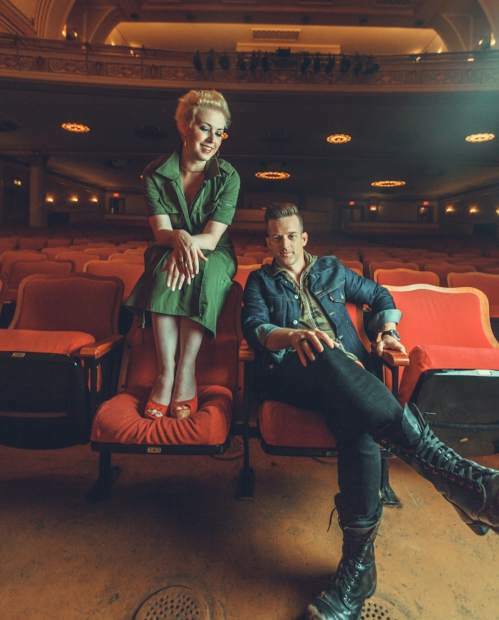 Thompson Square will bring its This Is Us Acoustic Tour to the Vilar Performing Arts Center on Friday, March 16, at 7:30 p.m.
Tickets are $58 general admission and are available at the Vilar Center box office, by calling 970-845-8497 or visiting http://www.vilarpac.org. The Vilar Center is located under the ice rink in Beaver Creek Village. Featuring the songwriting and vocal skills of Keifer and Shawna Thompson, the duo's second single, "Are You Gonna Kiss Me or Not," rocketed to No. 1 on the Billboard Hot Country Songs chart in 2011. Thompson Square was crowned the Top Vocal Duo by the Academy of Country Music Awards in 2012 and have been nominated for two Grammy Awards for Best Country Duo/Group Performance and Best Country Song. The duo is currently in the studio recording their forthcoming third album with famed, Grammy Award-winning producer Nathan Chapman (Taylor Swift, Keith Urban, Lady Antebellum).